Taekwondo Travellers on the move often have to skip training. 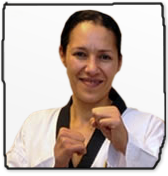 Our mission is to form a network of Taekwondo Travellers and local clubs. This way travellers do not need to skip training while on the move! Travellers can search our list of registered clubs in their city of destination. Each one of these clubs is a member of Taekwondo Traveller and will welcome travellers to train during their trip! Addresses and fees are posted on the webpage.